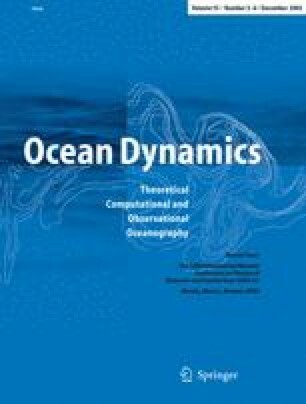 In this study, the dynamics of medium-intensity inflow events over Drogden Sill into the Arkona Sea are investigated. Idealised model simulations carried out with the General Estuarine Transport Model suggest that most of the salt transport during such inflow events occur north of Kriegers Flak, a shoal with less than 20 m water depth surrounded by water depths of more than 40 m. This assumption about the pathway is supported by recent ship-based observations in the Arkona Sea during a medium-intensity inflow event. The propagation of a saline bottom plume could be observed during several days after having passed Drogden Sill. In the area north of Kriegers Flak the plume was about 10 m thick, and propagated with more than 0.5 m s−1 and a salinity of up to 20 psu (with ambient water salinity being 8 psu) eastwards. Although the model simulations were idealised, the structural agreement between the observation and model result was good. The structure and pathways of these medium-intensity inflow events are of specific interest due to the plans for erecting extensive offshore wind farms in the Arkona Sea which may under certain circumstances lead to increased entrainment of ambient water into the bottom plumes. The work for this study was carried out in the framework of the international QuantAS Consortium (Quantification of water mass transformation processes in the Arkona Sea), which is partially funded by the QuantAS-Off project (QuantAS—Impact of Offshore Wind Farms) by the German Federal Ministry of Environment, Nature Conservation and Nuclear Safety (BMU). We are further grateful for the support and flexibility of the crew on board of the R/V Helmsand without which the observations presented here could not have been obtained. The Royal Danish Administration of Navigation and Hydrography made the current velocity observations on Drogden Sill available. The sea level data were obtained from the Swedish Meteorological and Hydrological Institute. All two-dimensional graphics in this paper have been generated with the Generic Mapping Tool (GMT), and we are grateful to the specific support given by Paul Wessel, Hawaii. We are further grateful for the constructive comments by two anonymous reviewers.